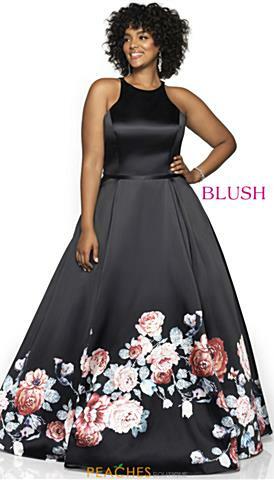 Blush Too dresses are the same charming and fierce styles from Blush by Alexia Designs, just in full figure sizes, so no matter your size, Blush Too will have you looking and feeling red carpet ready. Showcasing high illusion necklines, strapless sweetheart bodices or asymmetrical looks, Blush Too designs are sure to have you turning heads whether you are wearing a flattering a-line style, fitted look with an elegant train or a figure hugging mermaid silhouette. The fun and flirty colors they display are extremely captivating and are sure to have you getting noticed all evening long. Shop today at Peaches Boutique in Chicago and find your dream Blush Too dress with all the needed accessories to complete your prom ensemble.